the keyboard and screen of your computer, smart phone or tablet. You can go to the About.com web site for some suggestions. You don't need to be suididal to call most of these lines. They generally receive many more calls from people who need referrals, or are distressed, or in need of information, than calls from persons who are suicidal. "... about 2% "of severely depressed people eventually die by suicide, which is only slightly higher than the 1.6% of people from the general United States population who eventually die by suicide." In North America, they seem to peak annually in the early springtime. One theory is that individuals decide to commit suicide while profoundly depressed in the dead of Winter, but lack the ability to organize their own death. Later, when the weather improves and they feel more in control and are able to arrange their suicide. Emergency support services are available to help persons with suicidal ideation, often on a 24 hour basis. 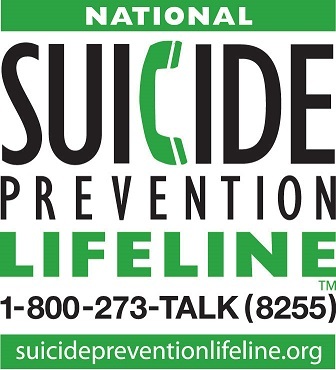 Suicide prevention hot lines (sometimes called distress centers, crisis centers, hotlines, Contact, Telecare, etc.) offer non-judgmental, confidential, caring support by trained volunteers. Telephone numbers are often listed on the inside front cover of local telephone books. Certain groups within the population are much more at risk for suicide. These include Aboriginals, persons who suffer from various mental disorders, lesbians, gays, and bisexuals Persons who are transgender appear to be at the highest risk to commit suicide. About 40% attempt suicide some time during their life. Physician assisted suicide (PAS); a.k.a. Medical Aid in Dying -- (MAID) < A large section.